Paul is a fellow Swiss ex-pat (he lives in Cyprus). 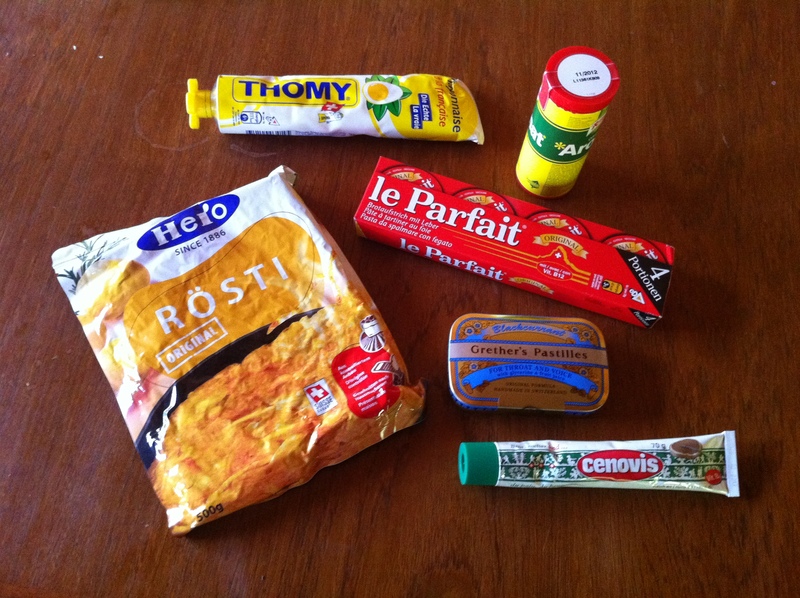 We were traveling together in South America a few weeks ago and started talking about random Swiss foods that we miss while living abroad. I guess he’s been spending time in the homeland. Thank you Paul! But I could sooooo indulge in the Roesti as well- enjoy Toni! Great stuff, enjoy! What I miss most from Switzerland is the cheese. Found Gerber Fondue in Quebec-City, even at Costco, but here in London (Ontario) it's rather difficult. The good thing in Ontario is that August 1 is a civic holiday.